Siena’s School of Liberal Arts is the largest and most diverse of the college’s three schools. Our eleven academic departments support more than forty major, minor, and certificate programs. 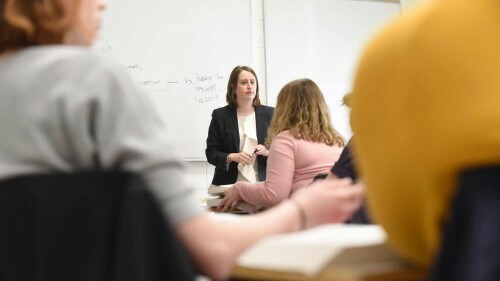 Our varied and often interdisciplinary offerings will help you develop the problem solving, critical and analytical thinking, ethical reasoning, and communication skills employers say they seek most. By studying the liberal arts at Siena, you do more than prepare for a career; you prepare for life in a complex, rapidly changing world. You learn to think critically and communicate clearly. You learn to work effectively in teams even as you cultivate leadership qualities that set you apart from others. You learn how to synthesize multiple perspectives, inspired by the diversity of the human experience. You apply creativity, innovation and ethics to problem solving in all areas of your life. From the breadth of our core curriculum to the depth of your selected courses of study you will benefit from the broad-based knowledge and real-world skills that form the foundation for success in professional and personal life pursuits. Welcome to the Liberal Arts at Siena! 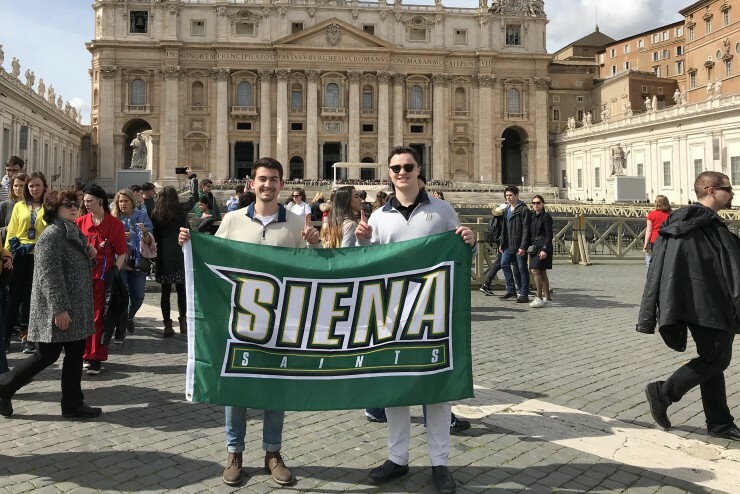 The School of Liberal Arts is the largest of the three Schools at Siena College, with 21 majors and 38 minors and certificates in the Humanities, Fine Arts and Social Sciences. 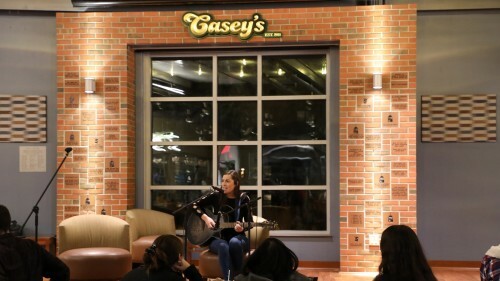 Siena College values classroom learning and high-impact, hands-on learning. That's why we established our Center for Undergraduate Research (CURCA). 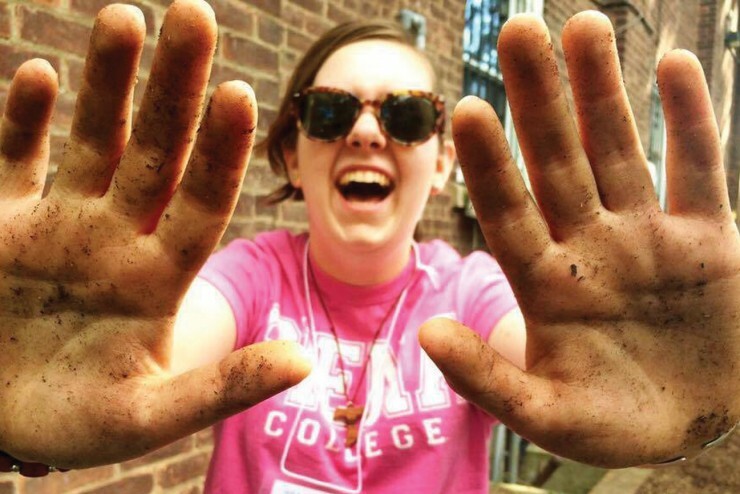 Siena's Center for Academic Community Engagement (ACE) is built on community-engaged learning, building communities that thrive in the Capital Region and beyond. 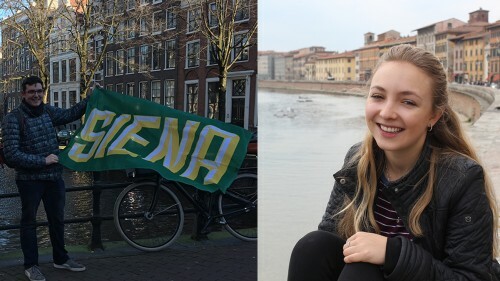 Siena students have the opportunity to study abroad in more than 50 countries around the world while pursuing international internships, research, and meaningful service learning. 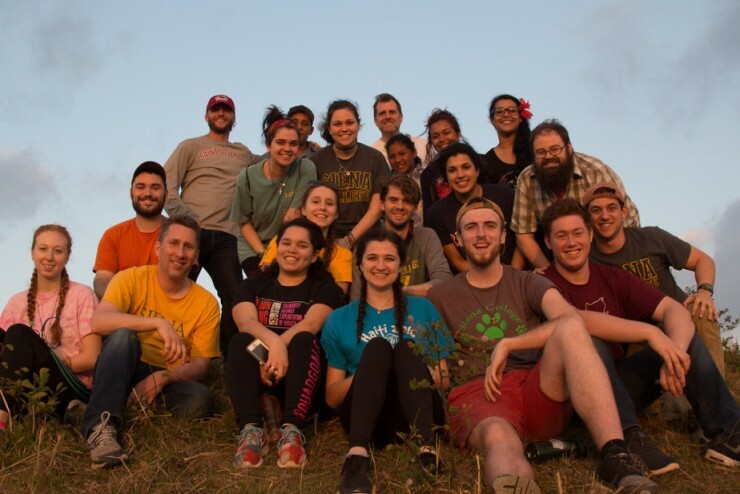 SIENAserves Immersion Program offers students, faculty and staff transformative experiences in communities close to home and abroad. 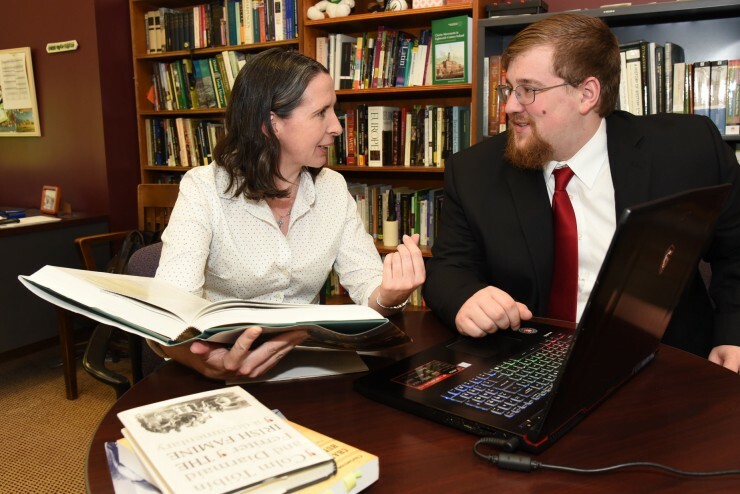 The focus of the Center for the Study of Government and Politics is citizen education, with a goal of encouraging greater student interest and participation in government and politics. The Center engages our students in civic literacy. 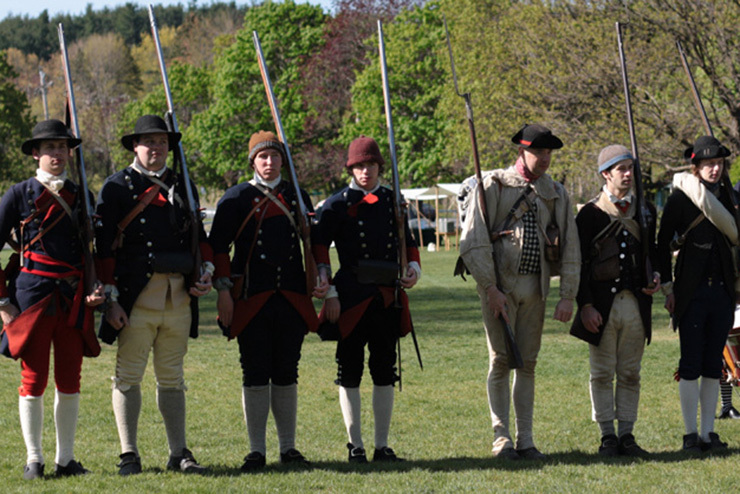 The McCormick Center for the Study of the American Revolution partners with nonprofits and the public sector to develop and share educational programming about the history of New York State and colonial and Revolutionary America. 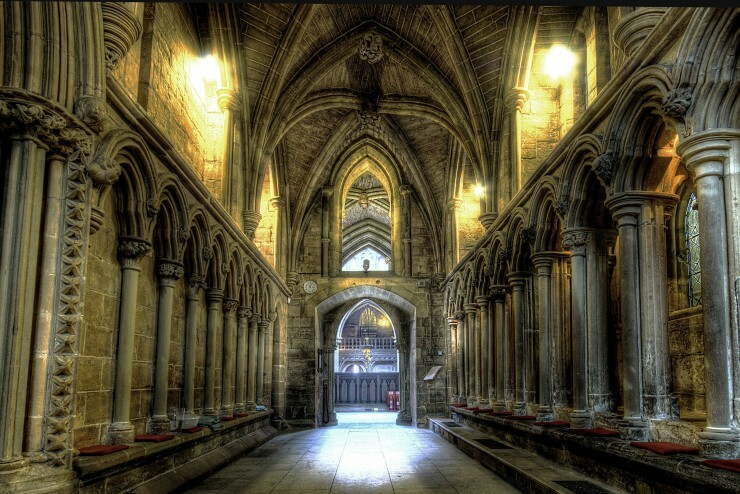 The Center for Medieval and Early Modern Studies gives students the opportunity to study medieval and early modern life, in association with a range of departments and programs at Siena College. 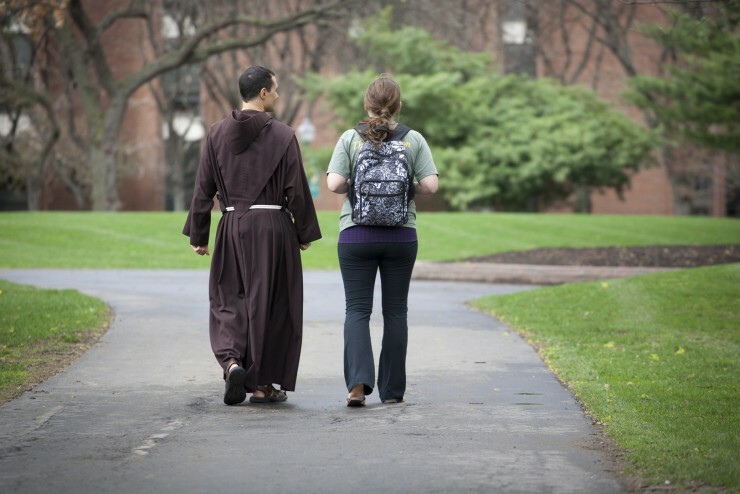 The Franciscan Center for Catholic Studies provides the College and residents of the Capital region a forum for exploring Catholicism in its historical, sociological, liturgical and doctrinal complexity.